"Fullmetal Alchemist" author's new series is called "Silver Spoon"
Mangaka Arakawa Hiromu, known mainly for her series "Fullmetal Alchemist", will be starting a new weekly series called "Gin no Saji Silver Spoon" on April 6th. The new series follows the adventures of students at an agricultural high school in Hokkaido. 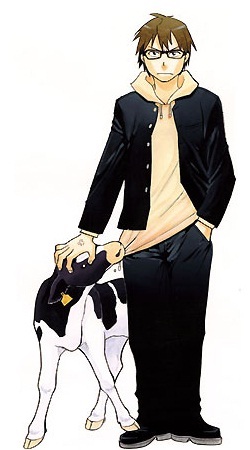 "Silver Spoon" will be Arakawa's first attempt at a weekly serialization ("Fullmetal Alchemist" was monthly), and will be published in Kodansha's "Weekly Shonen Sunday". Get a sneak peek at Dream Morning Musume's upcoming song, "Atto Odoroku Mirai ga Yatte Kuru!" ROCK'A'TRENCH reveals PV for "Hibi no Nukumori Dake de"!